National and state economists recently presented their 2019 forecasts in Las Cruces. Michael Hernandez reports. 2019 looks to be a good year for both the U.S. and New Mexico economies but signs point to a slowdown. That’s according to outlooks by economists from Wells Fargo and New Mexico State University. A key indicator experts use to measure the economy’s health is GDP, or gross domestic product. That’s the total market value of goods and services produced in a year. U.S. GDP grew by roughly 3 percent in 2018. Wells Fargo Securities Director and Senior Economist Sarah House forecasts growth will slow to 2.5 percent in 2019 as the impacts of last year’s fiscal stimulus begin to fade. House said New Mexico has disproportionately benefitted from the fiscal stimulus because it receives more federal spending than other states. Oil production is also key. From right, Wells Fargo Securities Senior Economist Sarah House answers a question from Courtland Tyler, an economics and marketing senior at New Mexico State University. 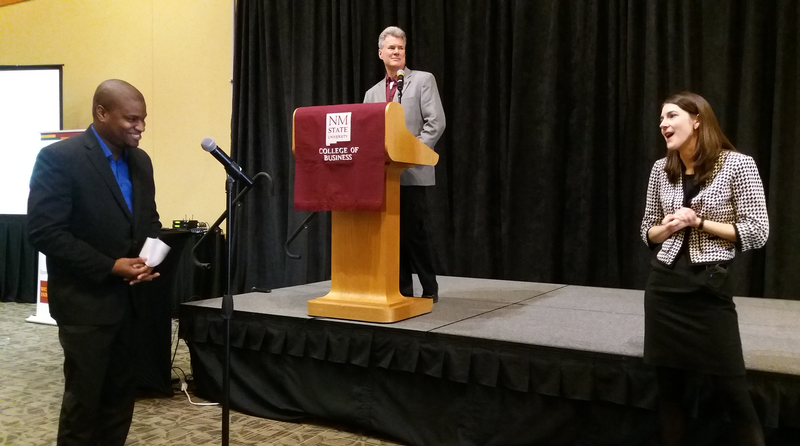 NMSU's College of Business hosted the eighth annual economic conference at the Las Cruces Convention Center. While the government shutdown delayed December figures, data from the U.S. Energy Information Administration shows field production of crude oil through November 2018 was nearly 225 million barrels. 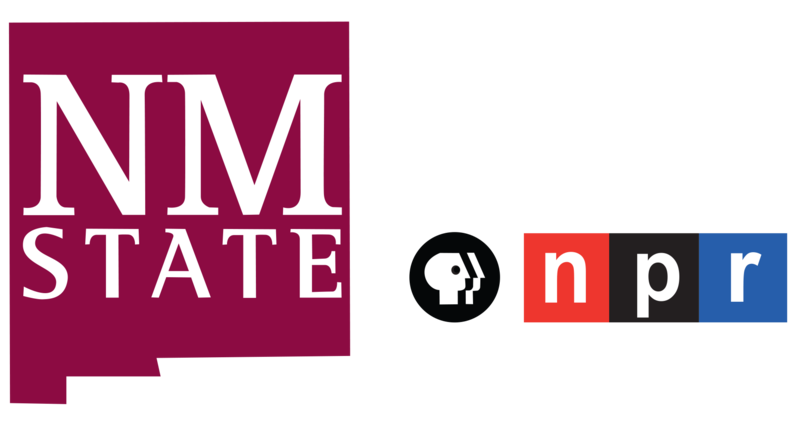 That’s significantly higher than last year’s output according to former NMSU Economics Professor Jim Peach. “Oil production has increased through November about 45 percent in 2018 over what it was in 2017. That’s an incredible increase. That has produced a budget surplus for the state of about $1.1 billion. Everybody’s excited about that," Peach said. Jobs have been another economic high point. House said the national unemployment rate, 4 percent in January, has fallen below the Federal Reserve’s estimates for “full employment.” Just last September, Peach said the state returned to its employment levels from December 2007. “That’s about 11 years plus where we had essentially no net gain. We’re now up about 6,000 jobs over where we were in December 2007. That’s about 500 a year and that’s not very much," Peach said. "We’ve got a long way to go but last year was a pretty good year." House said the industry that’s seen the most growth is leisure and hospitality. Despite that statewide growth, both House and Peach say there are a number of signs a recession might be on the horizon. Those indicators include a slowing global economy, rising interest rates and declining home and auto sales. Another issue in question is the U.S.-Mexico-Canada Agreement, President Trump’s replacement trade deal for NAFTA. Congress has yet to approve the agreement. Peach said if it passes, there will be very little effect on trade in New Mexico. Ultimately, Peach said New Mexico exports such as oil, copper and Intel computer chips depend on the national and international economies. “We don’t determine the prices of those things. We have a national downturn, New Mexico suffers from that," Peach said. "So, watch for a national recession. Watch for oil prices which may be independent of a national recession and watch for the settlement of the U.S.-Mexico-Canada Agreement or not. Watch for the removal of the steel and aluminum tariffs. There are any number of things to look out for that no one can safely predict what’s going to happen with them." And if there’s one thing markets are said to hate, it’s uncertainty.